I was going to post a lovely sushi salmon salad recipe today. Sounds good right? Well, I had a mishap - I left the fridge door slightly ajar last night on the hottest day of the year so far. Along with rendering 3 doses of my arthritis medication, Humira, unusable, the mishap has rendered the sushi salad unfit for human consumption, and more importantly for the blog's sake, unfit to be photographed. Put the peas and beans in a dish and leave to thaw for 2 hours or just give a quick blast in the microwave (not required if you leave your fridge freezer door open! ).Stir in the oil and sauces. If you have time, pop the whole lot in the fridge for a few hours to let the flavours develop and then serve. This is jam-packed with healthy, arthritis friendly ingredients. The peas and beans are rich in folate which people with inflammatory arthritis can often be deficient in, particularly if they take arthritis medications like methotrexate or sulfasalazine. 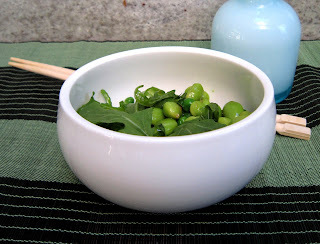 Edamame or soy beans are rich in phytoestrogens. I wrote a post about their role in arthritis here.